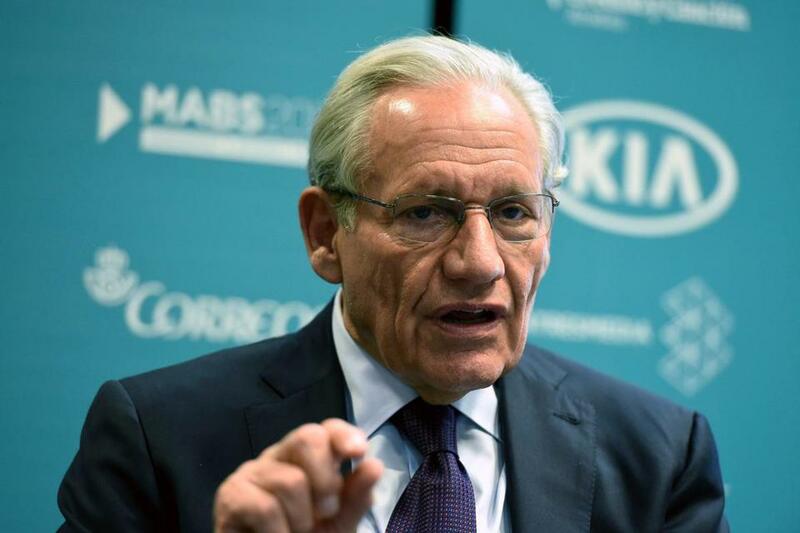 Bob Woodward defended his book in an appearance on NBC’s ‘‘Today’’ show. WASHINGTON — President Trump vented over White House leaks Monday as a new tell-all book commands attention, an anonymous writer detailing ‘‘resistance’’ in the administration remains at large, and a former staffer reveals more private recordings of the commander in chief. Sanders said it’s up to the Justice Department to make that determination. ‘‘But someone actively trying to undermine the duly elected president and the entire executive branch of government, that seems quite problematic to me and something they should take a look at,’’ she said. It appeared to be another instance of the president versus the presidency, as Trump proceeded on one track while his administration largely moved on another. There was fear among some Trump advisers that if the president felt that his staff or the Justice Department was not carrying out his order to find the leakers, then he could feel compelled to make changes. Woodward staunchly defended his work, saying on NBC’s ‘‘Today’’ show that Defense Secretary Jim Mattis and White House chief of staff John Kelly ‘‘are not telling the truth’’ when they deny making disparaging remarks about Trump attributed to them. ‘‘These are political statements to protect their jobs,’’ Woodward said. Set for public release Tuesday, ‘‘Fear’’ has thrown an already chaotic White House into disarray. On Monday, it was ranked as the top-selling book on Amazon. Kelly is quoted calling Trump ‘‘an idiot,’’ and Mattis is quoted saying Trump has the understanding of ‘‘a fifth- or sixth-grader.’’ Both deny the statements.